A flashing red neon sign interrupted the dark. The Salvation Army Rescue Mission across the street was hard not to notice. The homeless drifted up and down the sidewalk looking for a hand-out. The window of the new storefront church had a hand-scrawled welcome sign inviting one and all to come in. As the door opens, the smell of fresh paint announces the recent renovations. Battleship Gray paint was on the walls, the old wooden floor and on the home-made benches. Everything in the church was painted gray except the pulpit and the piano. The piano had been pushed up against the wall on the main floor. Sitting close to the six-inch-high platform. It was positioned to the left of the pulpit. The pastor’s wife played sweetly. It was like she was anointed. She sat facing the wall, but when she looks into the antique mirror fastened on the old upright, she can see her husband, the pastor and watch for his direction. Oh, how they sing! They sang with all their heart. The presence of the Lord was easily felt. There were no songbooks or microphones. A tambourine and the rhythm of hands clapping complemented the evening worship service. The pastor’s small children sat respectful and quiet. They knew not to play during church. There are five children in the pastor’s family. The oldest was barely in his teens. They live in a migrant farm workers camp. The one room, clapboard shanty has been their home for a year. The shack they live in has no running water, no electricity, but it does have a wooden cook stove. The restroom facilities are about 200 feet away. One double bed, a built-in bunk bed, and pallets on the floor provided sleeping arraignments for them. Their little “house” looked just like the 75 or so others in the worker’s camp. Unpainted, no lawn, no porch, just shelter. The whole family had picked apples in the local orchards when they had first arrived. It was harvest time. The ladders that the fruit pickers used, leaned tediously against the tree limbs. Canvas bags were strapped around the laborer’s necks that held the apples and became very heavy very fast. It was not easy work. It was piece rate labor. Everyone one else living at “Schwarter’s Station was Hispanic. Their light skin stood out. The pastor finally got a day job at Libby’s Cannery and his wife worked nights at Del Monty’s Cannery to help make ends meet. Their 14-year-old son learned to help cook for the family on the old wood cook stove. An older retired couple had lived in town for several years and had not gone to church anywhere because there was not a Jesus Name church in the area. They had grown cold spiritually. Now, they had rejoiced over the prospect of having a church in town. They were more than glad to help the new pastor start a church. They found pails of old gray paint in the barn and felt, that though it might not look pretty, at least it would make the place look clean. There also was enough lumber in the shed to make a small platform and eight benches. Counting the old drunk on the front row that only came inside because of the weather, there were ten people present and five of them were children. The drunk awoke during the altar call and left. The faithful few gathered around the front. They were disappointed that one got away. There was always the next time, if Jesus tarried. The small group had no support from anyone, just a burden for souls. This was Home Missions 1958. The old gentleman was a little unsteady on his feet. He had every right to be. He was no longer young. He was in his early 90’s and with the help of his faithful cane; he came over and asked permission to sit by me. I was in Atlanta, seated near gate 16. I welcomed the company during my long layover. I glanced again at him and this time saw that his cap said World War II Veteran. “Thank you for serving our country.” I said smiling at him. The old guy favored his arthritis as he eased into the seat. “You’re so very welcome,” he said as he found a place to rest his cane. “It was the greatest honor of my life. Some of my buddies didn’t make it back.” He said as he shook his white hair. I saw his tired looking eyes get a little wet, and then he held me spellbound for the next 40 minutes with stories of his life during the war. His mind was sharp. His voice strong and animated. I was mesmerized. As he talked, the wrinkles in his weathered face seem to enhance his looks. He had a distinguished air about him as he named events and recalled names. Although I forgot to ask his name I will never forget his stories, his love for America. Over the years, some members of my own immediate family have proudly served in the armed forces of the United States of America. My brother-in-law, Eric Marxer – Marines. My father, Carl Ballestero – Army. My father-in-law, William Starr – Army Air Force. My step father-in-law, Howard Davis – Navy. Each of them has my deepest respect and appreciation for putting their life on the line… for me. I owe my freedom to them and others who served with them. I cannot take that lightly; I thank them from the bottom of my heart. I’ve had thanked hundreds of uniformed men and women. 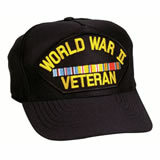 Every veteran that wears a cap or jacket announcing his past service gets my thanks as well. After the airplane landed at my final destination this week, the flight attendant announced the fact that a young uniformed soldier was on board. The entire crew, as well as the passengers, applauded their thanks to him, as well we should have. I have seen many others thank our servicemen and women over the years. I too am thankful for those that serve. What about those soldiers in the greatest war of all? You know, those that help fight the battle for the souls of men and women? What about those other warriors, like the Missionaries, and even our own Pastor? How come they seldom receive our thanks? When’s the last time you ever saw someone walk up to a Missionary and say, “Thank you for serving the Lord”, or “Thank you for giving your life to the work of God”? When is the last time you walked up to your Pastor and said something like, “Thank you for your service to God” or “Thank you for giving your life and your time to the ministry”? Aren’t we to give honor to whom honor is due? There are unsung heroes among us who have faithfully labored for years in the service of the King. Maybe they’ve never seemed to be well-known outside of their immediate area. Or maybe they’ve never preached a conference. They might not even have famous relatives. They’ve sure never gotten a hand clap or maybe even much of a thank you. They have just silently preformed their duties. They have been faithful and heaven could not have required anymore. Most have spent their life doing without. One thing shouldn’t have to do without is our thanks and appreciation. Of all people, those who are fighting for the souls of men and women in this wicked generation, they need our thanks and our prayers. Now, go say something nice to one of them. Are The Heroes Here Yet? Pastor Brandon Hartzell is my son-in-law. He’s just the best one a father-in–law could ever have. I love him. 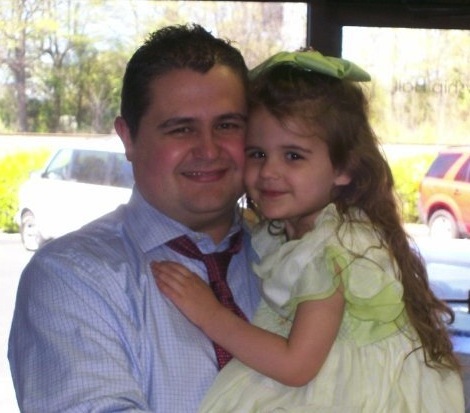 He was not raised in a pastor’s home, yet he deeply loves and respects the ministry. He treats me with more honor than I deserve. He’s often had his picture taken with great men he’s revered. In his office there are pictures on the wall or on his desk of men like Bro. J.T. Pugh, Bro. Wayne Huntley and others who have made positive influences in his life. Bro. Hartzell deeply loves the ministry and the godly men he has met. He also has a great gift of remembering what they taught him. He also tries to instill into his children and his congregation in Cary, North Carolina that it is a privilege to have these great men of God visit their church and minister to them. Pastor Hartzell openly tells his people that these men have given their lives to the Gospel and are modern day heroes of the Faith. He recently announced to his church that the next Sunday, a Missionary would be in visiting in service with them.